So if you haven’t heard already, March is Colorectal Cancer Awareness Month. And if you have, you’ve probably also heard a few reminders that it’s time to get that colonoscopy you’ve been dreading. As an employee of a health care institution, I consider it my professional obligation to inform you that I’ve had one, and it ain’t that bad. Want to hear more? Perhaps not, but I’ll tell you anyway. 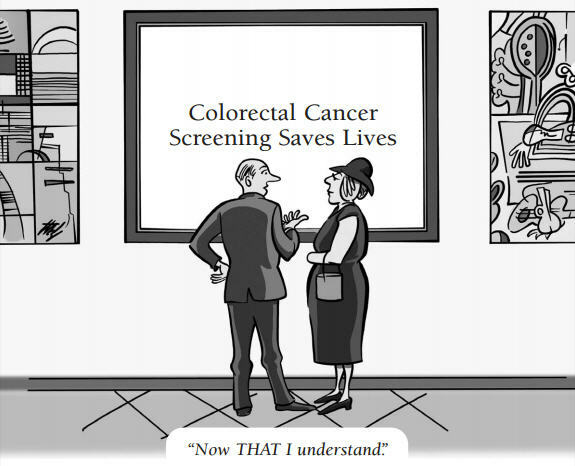 Colonoscopies generally are recommended for people age 50 and older, since they account for more than 90 percent of colorectal cancer cases. The procedure, which involves running a thin, tubelike instrument through the colon, helps doctors spot precancerous polyps so they can be removed before they turn into cancer. As it happens, I wasn’t quite 50 when I had mine, but I had a few minor symptoms that might fall into the “cause for concern” category. My primary care doctor and gastroenterologist weren’t particularly alarmed, but they wanted to play it safe, and they figured I was close enough to my golden years to experience this rite of passage. As physician assistants in the Section of Gastroenterology at Rush, Jenna Ottenheimer and Emily Harmeier often diagnose patients wtih ulcerative colitis and Crohn’s disease, the two forms of inflammatory bowel disease, or IBD. But their experience with these conditions isn’t just professional: Jenna has ulcerative colitis, and Emily has Crohn’s disease. Both are lifelong, chronic inflammatory disorders of the digestive tract that are treated with medications and often with surgery. Recently, Jenna and Emily sat down to talk about their unique positions, and how their personal lives inform their work with patients. Jenna: I’ve been a physician assistant at Rush for almost three years now. My decision to work in this field was strongly influenced by my own diagnosis of ulcerative colitis. After spending many years as an IBD patient, I felt that I could relate to my patients as a provider, and that’s why I decided to work in gastroenterology. Emily: I had similar reasons for joining our practice as a PA nearly two years ago. While the majority of my patients don’t know that I have Crohn’s disease, I think I bring a unique perspective on topics that can oftentimes be both embarrassing and personal. Having been a patient myself for over a decade, I have learned to be the type of provider who I would want to take care of me.